Alls I can say is, I am a lucky sod to work with creative types because every job is like a lovely collaboration. And collaborations are what I like best. 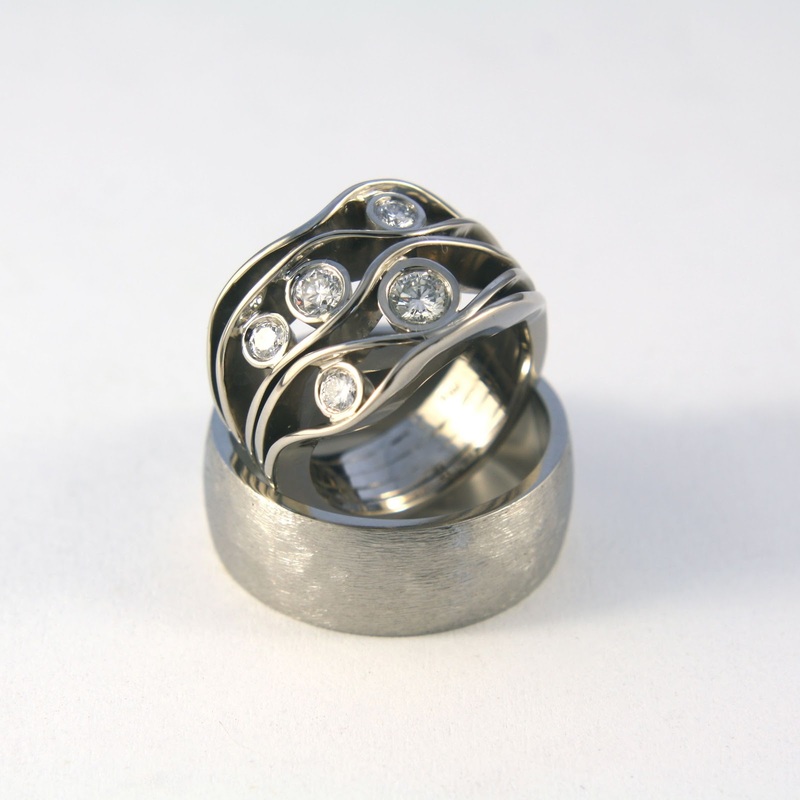 Lynda's ring is natural unplated 18ct white gold, and David's simple, rough band is in strong, light titanium. The metal of the future! Now don't get me wrong- you don't have to be in the creative industries to have your special piece made by me. Hey, you could be a high-powered city type without a creative bone in your body. I'll still make your three-carat diamond and platinum ring for you. It doesn't hurt to put it out there, right...?! awesome design. More photos, please!